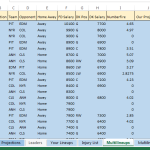 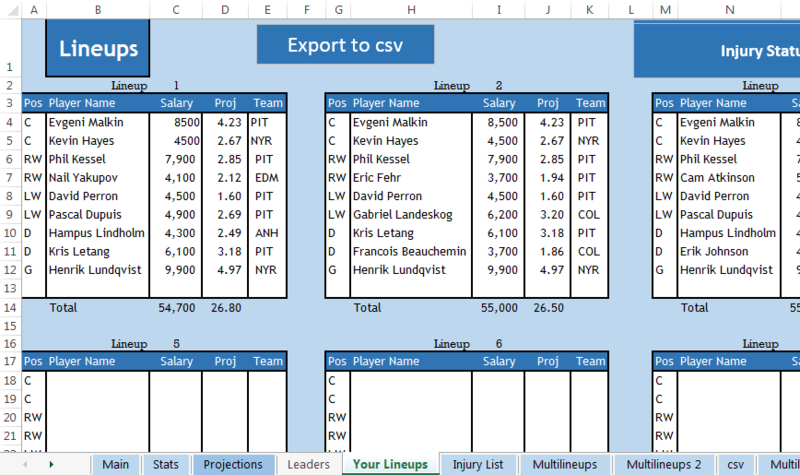 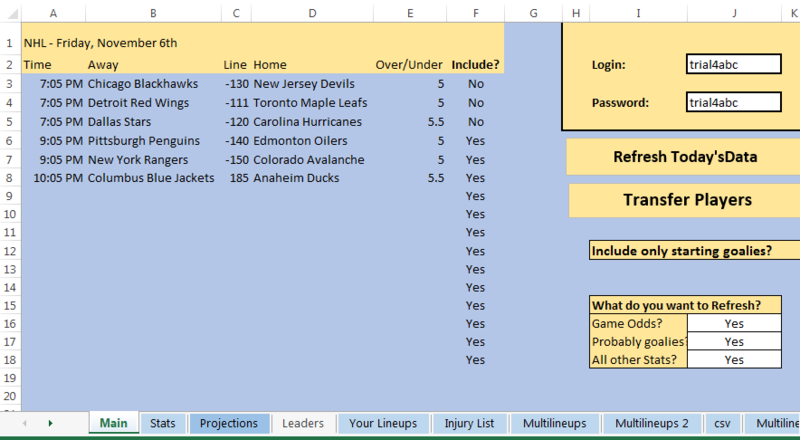 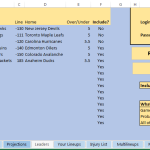 My Daily Fantasy Hockey Excel Spreadsheet Tool is ready! 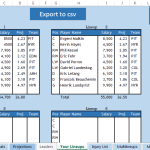 Use it to save time in your research as you get all the updated stats at the press of a button. 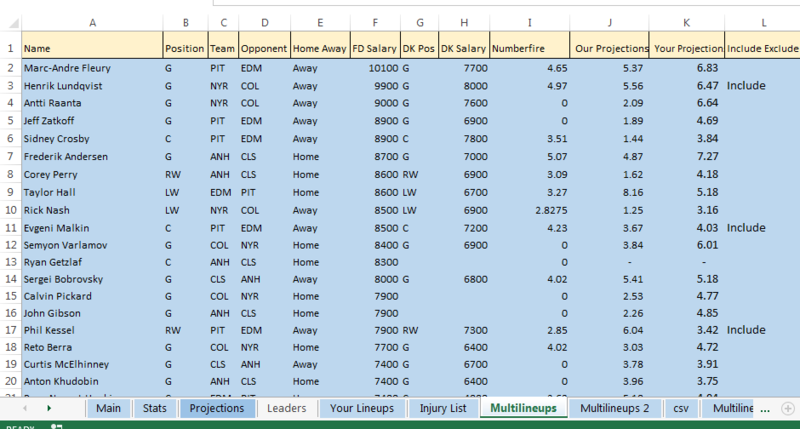 We include many advanced stats like ice time home and away, fantasy points last 3 games, Shots per minute, opponent stats allowed and more. 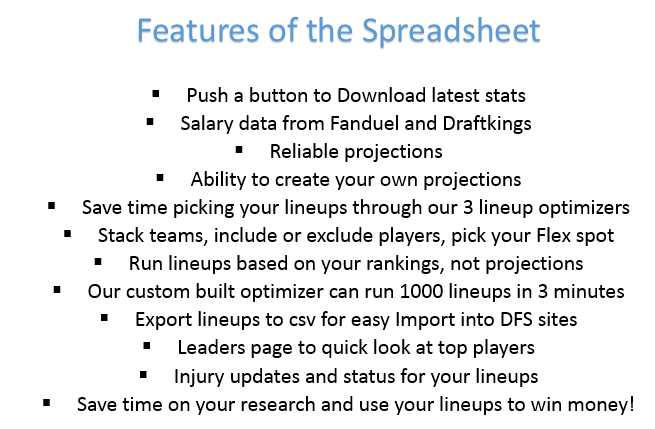 Run optimized lineups in seconds!